Partagas cigars are one of the oldest lines that make it to the Best Cigars list. The cigar brand founded in Cuba around the year 1845. The line is considered one of the oldest brands that still powered with new ones. The cigar market [lace is only a better place when we have Partagas. The blend was designed and built by cigar master Ramon Cifuentes. He had the role to create the most popular brand of cigars in the entire globe. The blend use only well aged quality Cameroon wrappers and a unique blend of super premium tobaccos grown in Mexico and Dominican Republic. This cigars have a subtle spiciness and made a solid medium-to-full bodied smoke. These cigars have become the worldwide favorite smoke among cigar aficionados. 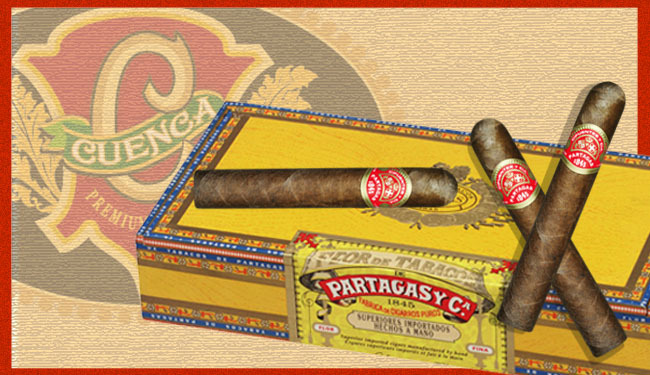 Cuenca Cigars offers a vast variate of Partagas Cigars.